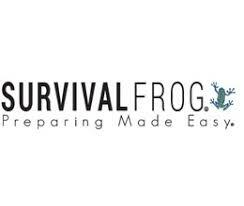 Specializing in the prepper industry, visitors to Survival Frog will have a chance to shop for wide variety of survival products and solutions. Survival gear from some of the most respected companies in the business are available at discounts here, and prepared food and water bundles, energy and radio kits, camping solutions, clothing, and more are available in the Survival Frog catalog as well. Every year a Super Sale Event offers products at closeout prices, regularly featuring discounts good for upwards of 80% off or more. The Buyers Club gives members reward points towards future discounts with accounts available free of charge. All orders of $50 ship free of charge.